We consider discrete dynamical systems and lattice models in statistical mechanics from the point of view of their symmetry groups. 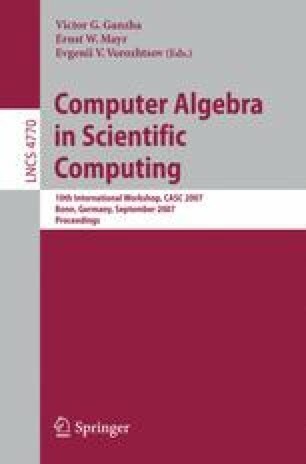 We describe a C program for symmetry analysis of discrete systems. Among other features, the program constructs and investigates phase portraits of discrete dynamical systems modulo groups of their symmetries, searches dynamical systems possessing specific properties, e.g.,reversibility, computes microcanonical partition functions and searches phase transitions in mesoscopic systems. Some computational results and observations are presented. In particular, we explain formation of moving soliton-like structures similar to “spaceships” in cellular automata.